Home » Drama Reviews » Are Mohid And Anmol Finally Going To Live Their Fairy Tale? Dil Lagi hit it off with a lot of masala to it, it created a certain level of curiosity amongst people and made certain to keep them glued to their screens. The chemistry between Mohid and Anmol is just phenomenal. The previous episode of Dil Lagi showed how Anmol finally realized that she is head over heels in love with Mohid, she finally surrenders to his love and that’s what made the entire episode a complete entertainment. The line “main tumhe kabhi nahi samjh sakti kyun ki mere dil ko lagi hi nai” touched hearts deep down, and brought countless smiles on many faces. “Na larne ka saleeka na mohabbat ka tareeqa, ehmak kahin ke,” This was a beautiful scene which started a new chapter in Anmol and Mohidâ€™s life. The fact that this cute couple found their happy ending is just a cherry on top! But the scene that paused all the high hopes for these two love brides was when Mohid’s mother decided to test Anmols love for her son, and another plus? Anmol handled the situation well and all the curiosity of ‘what’s going to happen next’ ended when ama announcing that they were going to take Anmolâ€™s baraat that night! So the big question is that will Anmol and Mohid finally have this fairytale life together? Mohid has a lot of enemies, will he be able to get through them? 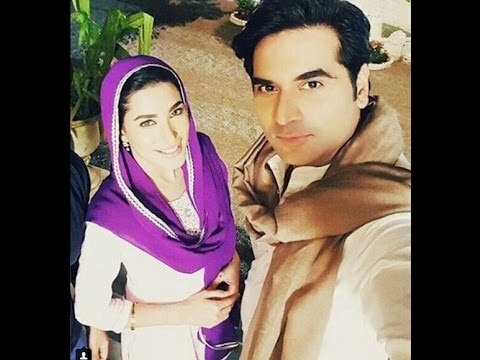 Is Dil Lagi another huge hit? Find out all the answers on the upcoming episode of this mind blowing show only on ARY Digital on Saturdays at 8.00 PM.